Last year, Tennessee interior designer and feng shui expert, Amanda Gates, featured me on her podcast, Design 101. We talked how to improve your feng shui, Twitter stalking, crazy feng shui stories and more. 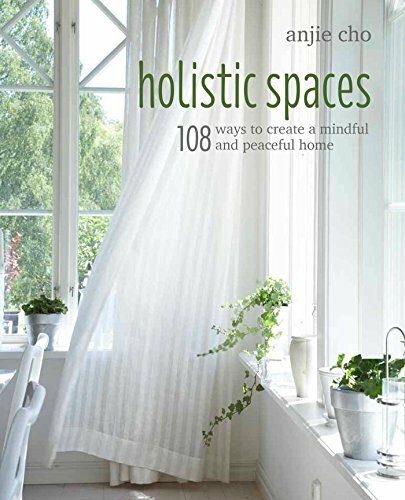 This time, I'm excited to welcome Amanda to the Holistic Spaces blog to share with us her insight on choosing non-toxic furniture. We've got lots to learn! AC: Tell us about non-toxic furniture and why someone would want to purchase it over regular furniture. AG: What most consumers do not know is that much of the furniture made today is made overseas. In an effort to keep it cheap, they use cheap materials like plywood and particle board to assemble them. Cheap furniture is not only poorly made, but contains insecticides, herbicides, formaldehyde, and many other harmful chemicals. These chemicals can off gas for years. Non-toxic furniture is better made and is made with solid wood. It appears to be more expensive, however the consumer is not comparing apples to apples. It’s more like comparing apples to a car engine. Non-toxic furniture is safer for our environment and creates better air quality in your home. If you have an infant with developing lungs and immune system, those toxins often found in cheap furniture can cause serious, long lasting health effects. What is the first step to purchasing non-toxic furniture? Education. EPA approval does not guarantee HUMAN safety. In fact the language gets real fuzzy and will say something unclear like “registered.” And most of what the EPA registers, is NOT approved for human health. So do your homework. What type of wood is it? What is the fabric made of? Is it made with PVC, formaldehyde or other harsh chemicals? What type of foam is used? Where did it come from? What type of hardware is used? How was it made? Where was it made? Springs - What are they made of? Where were they made? Does it have fire retardant on it? What environmental partners are they associated with? SFI, FSC, Sustainable Furnishings Council? What is the company's philosophy on environment impact? Is it their hook, or do they truly believe in their mission? DO your homework, because it's become a buzzword, and many are abusing it. How can non-toxic furniture help create a holistic space? We are inundated with chemicals EVERYWHERE. In our food system, all of our building materials, water, cleaning products, even mattresses are said to have more chemicals than an entire barrel of crude oil. Cheap products that harbor a lot of chemicals cause cancer, damage our nervous system, suppress our immune systems, depress our T cells, cause endometriosis, reproductive issues, respiratory damage and much, much more. Sounds scary, because it is. That is not peaceful. Not to mention it’s not holistic in any way. Being surrounded by so many chemicals affects your health and well-being. And this can ultimately effect your happiness without you even realizing it. A clean environment allows you to operate at a more optimal level. If your indoor air quality is substandard, so is your well-being, because they work hand in hand. If you’re suffering from headaches, insomnia, asthma, allergies, respiratory issues, and other ailments, are you going to feel good? Are you going to be happy? And what if you’re trying to get pregnant and can’t because the chemicals are throwing your body out of whack? You are your best when your environment is at its best. Thank you so much, Amanda, for offering your wealth of knowledge to our readers! Hopefully if you're looking to purchase furniture soon, you'll opt to go the non-toxic route if at all possible. It's an important way to help ensure your space is holistic and nurturing! Amanda has a brand new book coming out next spring, and we're happy to say she'll be featuring some of this material there as well. Keep an eye out for her book, with even more information on sourcing your home goods sustainably! Amanda is a professionally trained Interior Designer, and Feng Shui Practitioner and an amateur Environmentalist. She has been in the field of interior design and Feng Shui for over seventeen years. In the summer of 2015, Amanda became certified in Bau Biology, the study of our modern day environment and it’s effects on our health and home. She works with homeowners who want to create harmonious, healing environments through intentional design practices. Sure, you can say all design is intentional is some respect, but Amanda's approach encompasses more than just a pretty space. It’s about environments that are truly healing. Her goal with everyone she works with is to not only create spaces that have a killer cool vibe, and gives you the wow factor you could never achieve on your own, but design that honors Mama Earth along the way. As a leader in the world of intentional design, she design spaces that feel as good as they look.